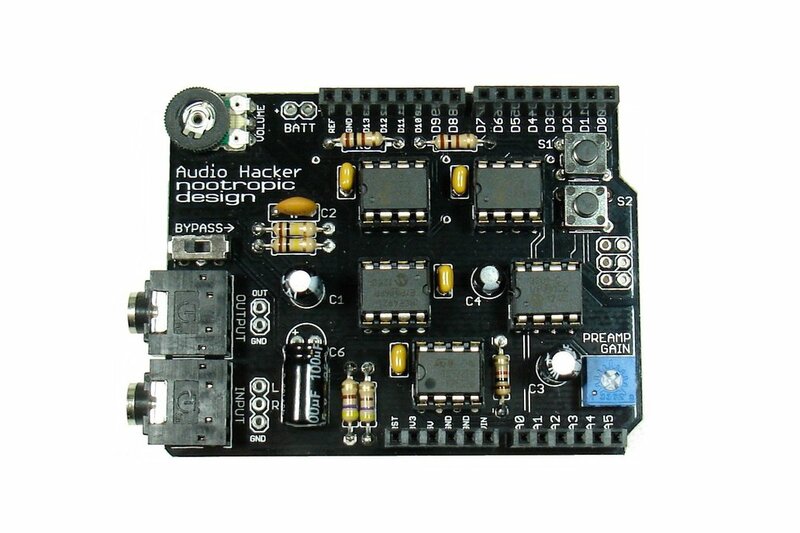 The Audio Hacker shield for Arduino allows you to perform realtime digital signal processing. 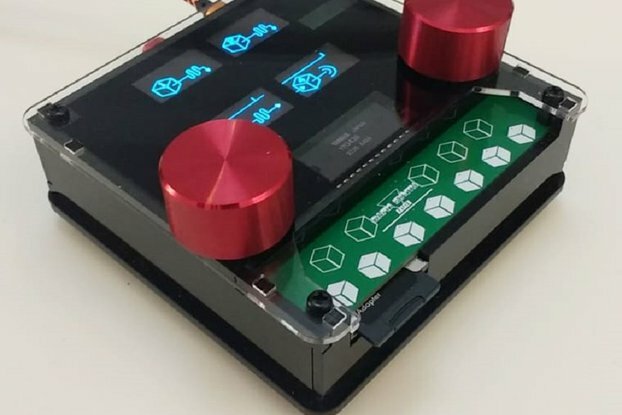 Record audio samples into memory and play them back. 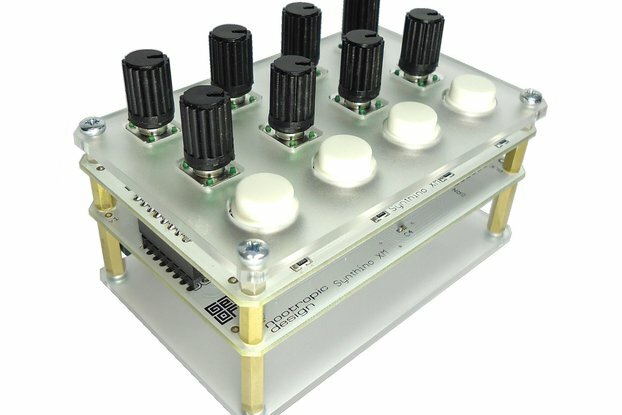 Mix samples, manipulate audio, build audio effects, or synthesize entirely new sounds. 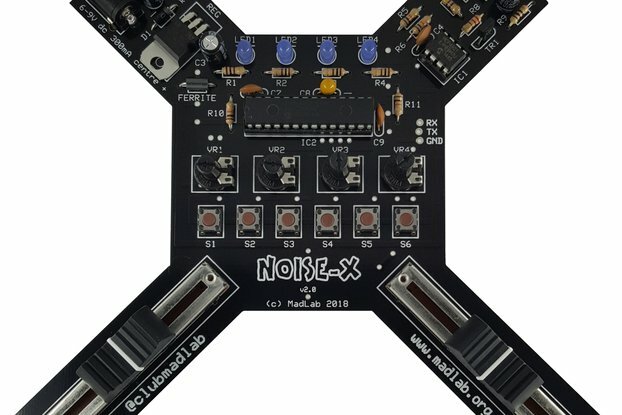 All with Arduino programming! This product is fully assembled. Also available as a kit. 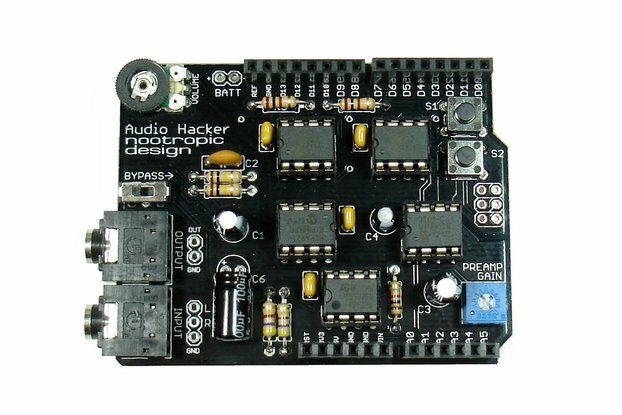 For the full documentation about the Audio Hacker shield and for great project documentation, visit the nootropic design Audio Hacker page. 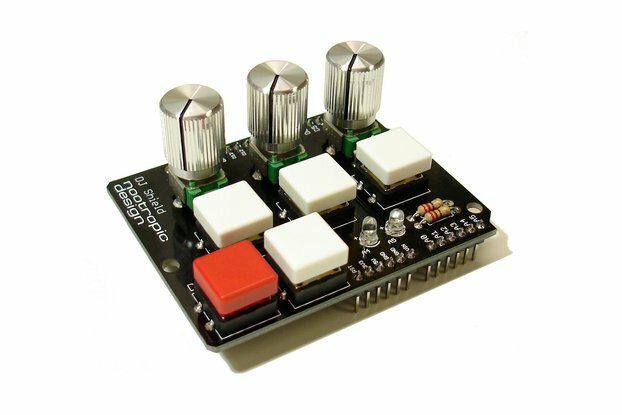 The optional DJ Shield (shown in video) adds 5 buttons and 3 knobs to your audio projects but is not required for the Audio Hacker. 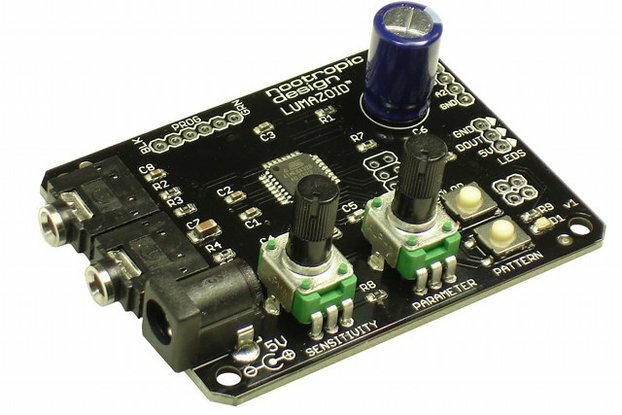 High quality 12-bit ADC and 12-bit DAC. Realtime ADC sampling and output to DAC at 44.1 kHz. 256K SRAM for recording/playback of audio samples. No SD card is needed! High-speed SRAM allows fast access to audio data for realtime processing and mixing. Record about 9 seconds of high quality audio at 22 kHz with 12-bit resolution to SRAM. Much longer samples can be recorded at lower frequency and/or resolution. See memory capacity below. TS922IN op-amp provides high current output and up to 100X gain preamp for weak inputs. 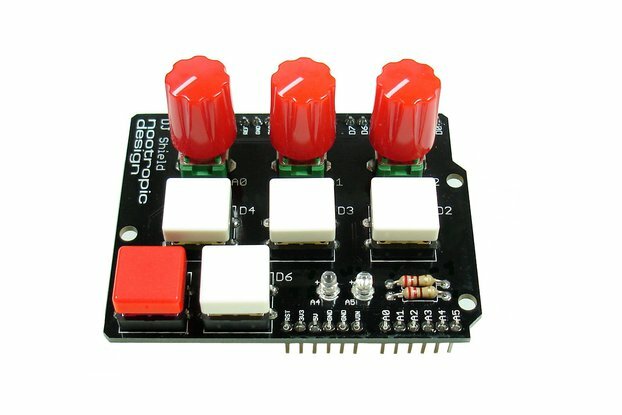 Two onboard buttons for input, bypass switch, volume knob. Connection for 3V battery backup to retain samples in memory. 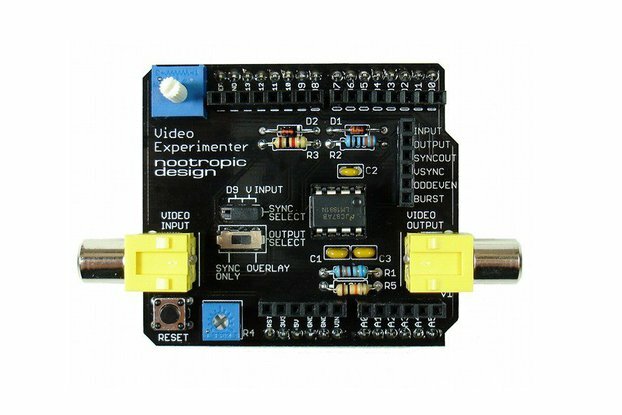 Compatible with Arduino Uno, Duemilanove, Mega, and Leonardo. Uses digital pins 5-13. 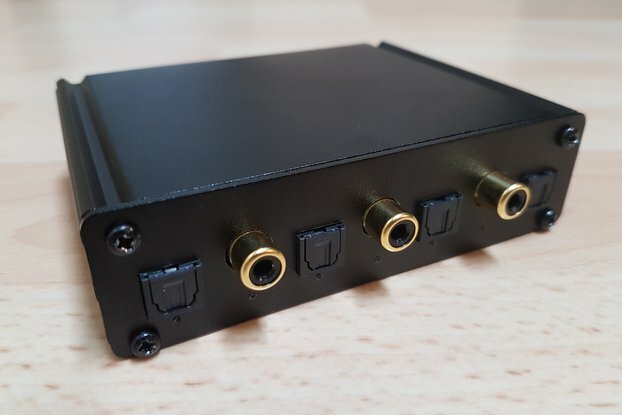 The Audio Hacker can record up to 30 seconds of lower-quality audio, or 9 seconds of high quality audio (22 kHz, 12-bit). For details on memory capacity, see this detailed information about memory capacity.